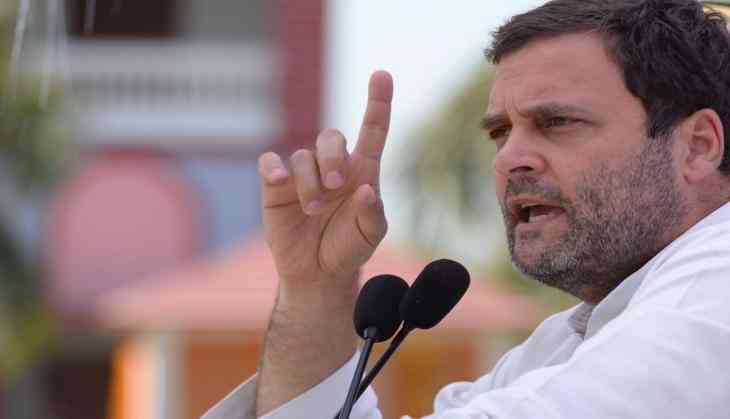 Congress vice-president Rahul Gandhi on Thursday condemned the recent Alwar incident and slammed Prime Minister Narendra Modi and Rashtriya Swayamasevak Sangh (RSS) for their ideology under which whoever doesn't agree with them would not have any place in the country. "This is new vision of India which Prime Minister Narendra Modi is propagating. It's a vision where only one idea will prevail. Anybody who does not listen or agree with PM Modi and the RSS has no place in India. This is going to have very severe consequences in the country," Rahul Gandhi said in a sardonic remark. "When government abdicates responsibility and allows lynch mobs to rule, tragedies of immense proportion follow. Shocking breakdown of law and order in Alwar," he wrote. "We expect government to take strict action against those responsible for this brutal and senseless attack," he tweeted. "All right thinking Indians must condemn this blind brutality," he added. Three people have been arrested in connection with an attack on a group of five men by the cow vigilantes that led to the death of one Muslim man on Wednesday. The incident happened on April 1 after gau rakshaks affiliated with the Vishwa Hindu Parishad and Bajrang Dal stopped their vehicle on NH 8, alleging that they were illegally transporting cows. An FIR has been registered and investigation is currently underway in this regard.